A walk along the two-and-a-half-mile length of the Freedom Trail is one of the best ways to get acquainted with Boston and to efficiently visit and photograph the city's bounty of historic sites and landmarks. The Freedom Trail is marked with a painted or bricked red line that is easy for pedestrians to follow. Signs along the Freedom Trail identify each of the 16 stops. Boston Common, America's oldest public park, is the best starting point for your walking excursion. If you're in a real hurry and in pretty good physical shape, you can cover the length of the trail in as little as an hour, but that won't really allow you the time to stop and visit any of the attractions along the way. Your best bet is to allow three hours or more to walk the trail at a leisurely pace and see all of its Revolutionary-era landmarks. The 2.5-mile trail is not a loop: It begins at Boston Common and ends in Charlestown at the Bunker Hill Monument, which commemorates the first major battle of America's Revolutionary War. Admission to sites along the trail is free with three exceptions: the Paul Revere House, the Old South Meeting House and the Old State House. The Paul Revere House tour is the most interesting of these three if you only have the time and/or funds to choose one. Revere—one of the best known patriots—is a fascinating, multidimensional character in American history. 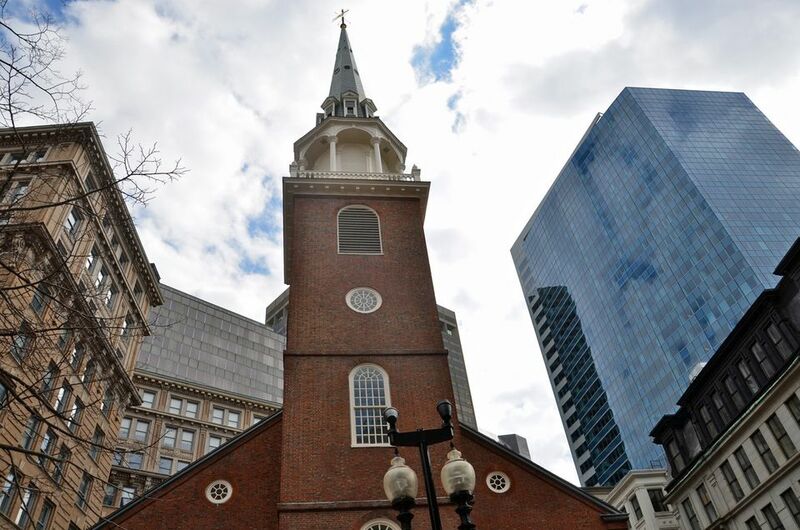 Also along your Freedom Trail walk, you'll have the opportunity to see iconic landmarks including Faneuil Hall and the Old North Church, where Revere looked for a lantern signal—"One if by land, two if by sea"—before his legendary midnight ride. The Freedom Trail Information Booth, (617-536-4100), is located on Boston Common at 139 Tremont Street. Here, you can pick up a map and brochure describing the trail sites. You can also purchase an audio tour. While you can theoretically pick up the trail at any point along the route, starting at Boston Common ensures you'll see all 16 historic sites along the one-way trail. To reach the start of the trail and the Boston Common Visitor Information Center by subway, take the Red or Green Line to Park Street Station. Exit the station, and turn 180 degrees. The Center will be 100 yards in front of you. If you are arriving in Boston by car, the best parking spot is the Boston Common underground parking garage on Charles Street. National Park Service rangers conduct guided tours of the trail and its sites. Some programs are offered daily year-round; others are seasonal. Check the current day's schedule online. The Freedom Trail Foundation, (617-357-8300), offers public tours, too, with guides in Colonial period costume.